Aw, man! I'm sad to see these adorable creatures on the retirement list! 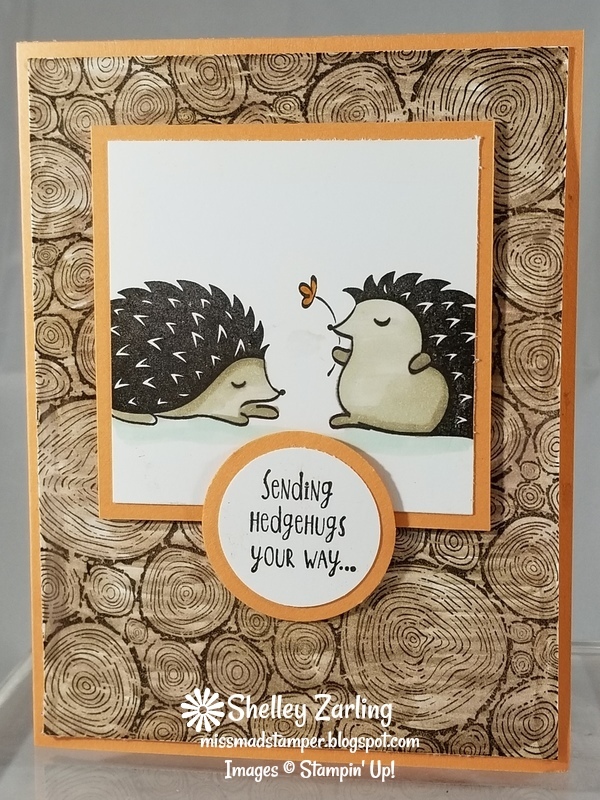 Hedgehugs are too cute! I have seen the new catalog and I know that there are some GREAT stamps coming, still hard to say goodbye! Well, I will share with you the cards that I made with this cuuute set! 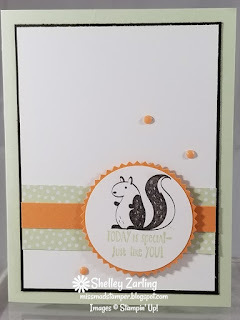 I focused on the squirrel in my first card. The little gems that I used as embellishments are also in the retiring list. Isn't Soft Sea Foam a pretty color? It's pretty subtle but lovely. The words under the squirrel say, "Today is special--just like you." I used the flower from the set and created to a background paper. I used Crumb Cake Blends to give the hedgehog's tummy a bit of color. I again used the Blends to add a touch of color to the hedgehog. When I stamped the Tree Rings background stamp with Early Espresso on Whisper White, I thought it was too stark. 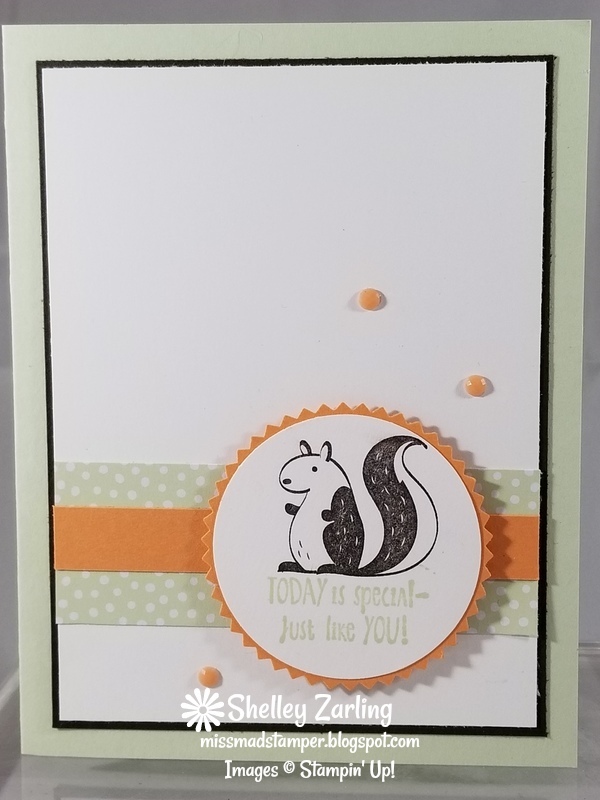 I used an Aqua Painter and pulled the color from the stamped image. It softened the white and the stamped image at the same time. I have more retiring sets to share with you. I have had fun playing with them. I'm not sure I'll get a chance to share everything with you here but I am going to try!